Vibration White Finger, also known as Hand Arm Vibration Syndrome, is an industrial injury triggered by regular use of vibrating hand-held machinery. Symptoms result from extreme effects on the peripheral vascular system, peripheral nervous system, muscles, bones, tendons and soft tissue. Episodic finger blanching (white finger) is the most widely known of these effects, but sensory changes (loss of sensation) are now being given greater importance. A particular worker who has signs or symptoms of one or more of the possible effects of hand transmitted vibration may be considered as suffering from Vibration White Finger. an appropriate description by the worker of symptoms which are recognised as being consistent with the disease that a diagnosis of Vibration White Finger can properly be made. The latency period between first exposure to vibration and development of symptoms can range from 6 months to more than 20 years, and is related to the intensity of the exposure and the personal susceptibility of the worker. Carpal Tunnel Syndrome, which can also be caused by exposure to vibration, can produce similar neurological symptoms in particular fingers. Carpal Tunnel Syndrome is a separate prescribed industrial disease. The most widely respected and applied classification is now the Stockholm Workshop Scale. The Stockholm Scale recognises the importance of neurological symptoms which are assessed separately to the vascular symptoms. Vascular and neurological symptoms can, and often do, develop separately. A worker may not suffer any vascular symptoms at all but may display neurological damage. The most widely familiar symptom of Vibration White Finger is cold induced episodic blanching of parts of the whole of fingers. The onset of blanching, and the subsequent return of the blood to the fingertips, are often associated with intense pain. However it is now recognised that it is the permanent neurological damage, resulting in symptoms of lack of sensitivity and clumsiness of the hands, which is probably more serious and debilitating. What exposure to vibration is likely to cause injury? The first step is to assess both the time per day, and per week, that an employee is exposed to vibration, together with the intensity of exposure produced by the tools that are being operated. Care is needed to assess the time that a tool is actually operating in the employee’s hands, known as “anger time”. The usual measurement is frequency weighted acceleration expressed in route mean square (rms) meters per second (m/s2). The higher the value, the greater is the risk associated with the tools. Vibration exposure is usually averaged on the bases of an 8 hour period (per day) known as an “A8”. If an employee uses a number of tools, the A8 for each tool must be added to obtain a daily A8. Vibration magnitude is measured using an accelerometer. This is an electrical device that measures acceleration forces. It contains microscopic crystal structures that get stressed by accelerative forces, which causes a voltage to be generated. The higher the voltage, the greater the acceleration. The accurate measurement and calculation of an employee’s occupational exposure to vibration therefore requires expert evidence from an engineer. The expert may base his calculations on vibration magnitude information provided by tool manufacturers, the Health & Safety Executive or, where possible, may attend at the employee’s place of work to obtain his own readings using an accelerometer. Exposure regularly exceeding 1 m/s2 could, in theory, be sufficient to cause injury in a particularly susceptible employee. However, exposure will only be considered as negligent exposure if an employer ought reasonably to have been aware that the exposure presented a foreseeable risk of injury. 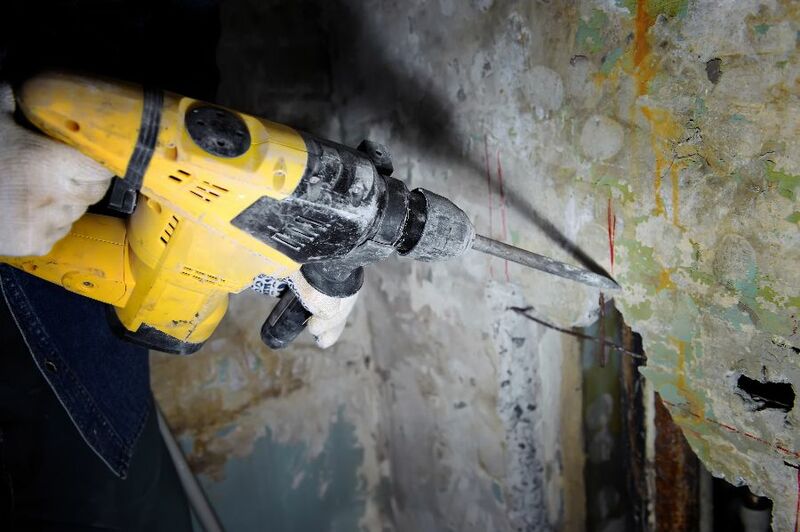 Knowledge as to the possible damaging effects of operating hand held power tools has been developing since as early as 1911, however there is no recognised universal date of knowledge applicable across all industries. From around the mid-1970s large nationalised industries such as British Coal, British Gas and British Rail would be expected to have some awareness of the dangers of exposure to vibration and to take reasonable steps to reduce those risks. However, it was only in 1994 that the Health & Safety Executive published guidance which specified an action level that should be applied by employers in assessing the risk of injury. It recommended that a programme of preventative measures and health surveillance should be instituted where exposure regularly exceeded an A8 of 2.8 m/s2. Subsequently the Control of Vibration at Work Regulations 2005 reduced the action level of 2.5 m/s2. As you will appreciate, claims for Vibration White Finger can be evidentially challenging, scientifically complicated, and require detailed knowledge of how the law, and scientific awareness of the dangers of vibration, have changed over the years. Having acted for many men and women with Vibration White Finger for decades, Allan McDougall Solicitors are established experts in this field. If you are considering claiming compensation for Vibration White Finger, please get in touch for a confidential discussion.